Have you ever wished that Kernl supported plugin update icons? Well, your wish is our command! 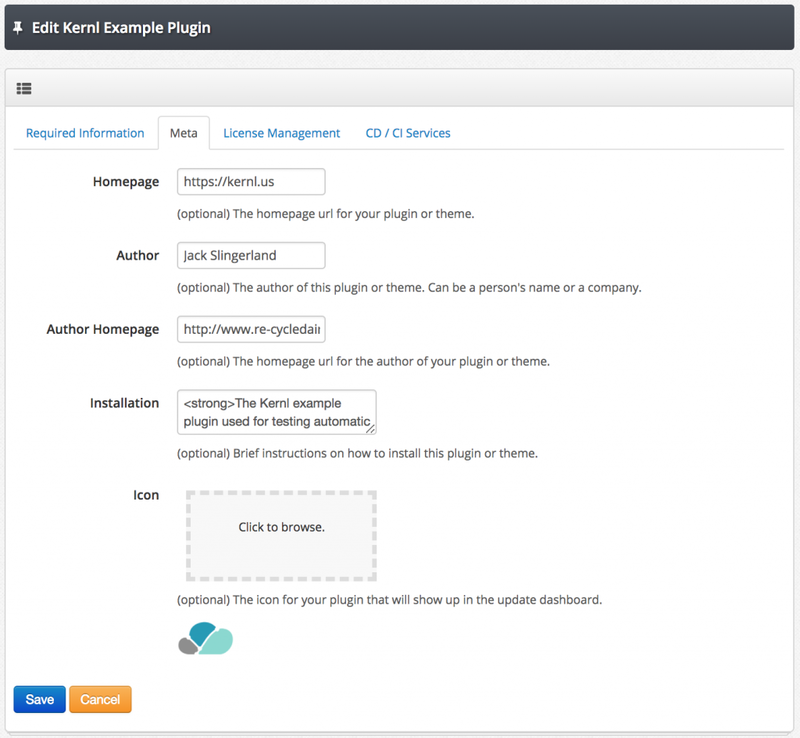 As you can see, before this change the icon displayed on the WordPress update dashboard for Kernl-based plugins was the default “power cord” image. Now you can upload your own icon to Kernl and have it displayed in the update dashboard. Using the new plugin update icon feature is easy. Add the latest version of the plugin_update_check.php file to your plugin. Upload an icon (64×64) to Kernl in the plugin meta tab. That’s it! Deploy your update so that all of your customers get the new plugin_update_check file and Kernl will start serving your update icon when you release your next update.